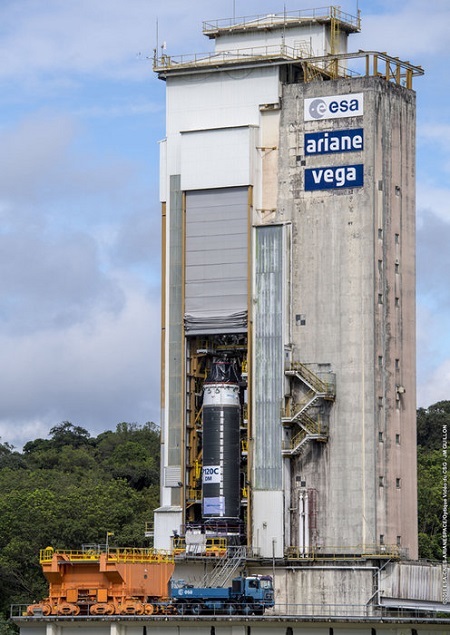 KOUROU, French Guiana, 29 January 2019 (ESA PR) — The first qualification model of the P120C solid-fuel motor, configured for Vega-C, was static fired yesterday on the test stand at Europe’s Spaceport in French Guiana. Fully loaded with 142 tonnes of fuel, the 13.5 m long and 3.4 m diameter motor was ignited for a final simulation of liftoff and the first phase of flight. PARIS (ESA PR) — This has been an intense year for Ariane 6 development, with progress boosted across Europe: plants are manufacturing new parts using novel methods, all engines have been tested, and the construction of launch facilities is well underway. ESA has worked with an industrial network led by prime contractor ArianeGroup, of more than 600 companies in 13 European countries, including 350 small- and medium-sized enterprises, to fine-tune the design and start production. Meanwhile, France’s CNES space agency has been preparing its launch facilities at Europe’s Spaceport in French Guiana. PARIS (ESA PR) — Vega is proving its reliability. Based on this heritage, ESA and European industry are building new elements that will increase Vega’s performance, capabilities and flexibility from mid-2019. 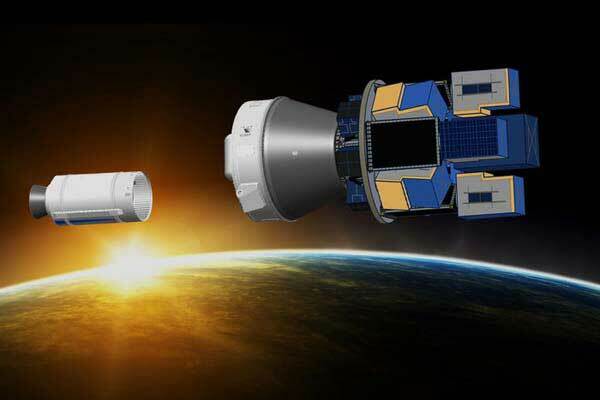 A proof of concept flight on Vega of the Small Spacecraft Mission Service is planned for mid-2019. Video Caption: The hot firing of the development model of the P120C solid fuel rocket motor at Europe’s Spaceport in French Guiana on 16 July 2018, proves the design for use on Vega-C next year and on Ariane 6 from 2020. The P120C is 13.5 m long and 3.4 m in diameter, and uses solid fuel in a case made of carbon composite material built in a single segment. It will replace the current P80 as the first stage motor of Vega-C. Two or four P120Cs will be strapped onto Ariane 6 as boosters for liftoff. This test was a collaboration between ESA, France’s CNES space agency, and Europropulsion under contract to Avio and ArianeGroup. 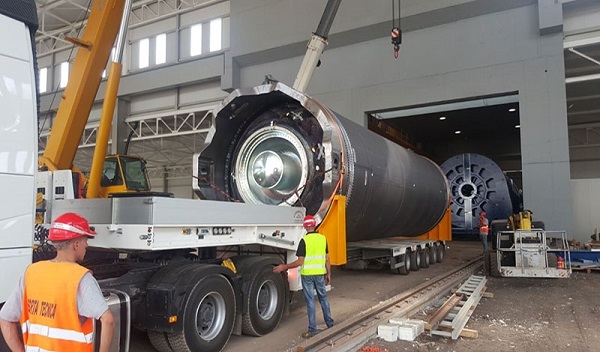 KOUROU, French Guiana (Avio PR) — The P120C was successfully tested on 13 July in Kourou, French Guiana, on the BEAP test bench for solid rocket motors, operated by the French space agency CNES. 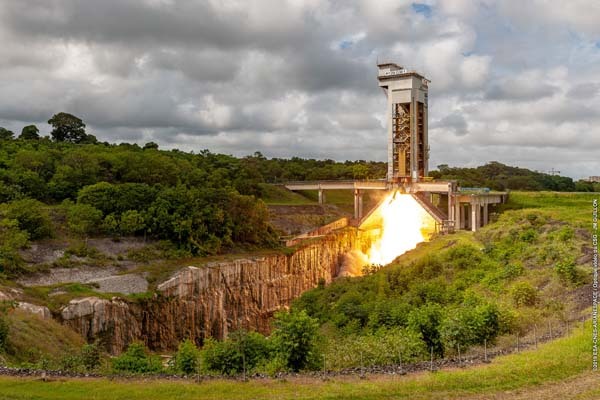 This successful test of the first P120C ever produced is a major step in the development of the future European launchers, Ariane 6 and Vega-C.
KOUROU, French Guiana – 9 July 2018 (ESA PR) — This week, the largest solid rocket motor ever built in one piece will be test fired at Europe’s Spaceport in French Guiana for the first time. This important milestone validates the booster for use on Vega-C next year and on Ariane 6 from 2020. PARIS — 14 June 2018 (ESA PR) — The ESA Council met today in Paris to discuss the path towards the future exploitation of Ariane 6. In view of the progress made in the Ariane 6 programme, Participating States have decided on the completion of the development up to full operational capability and agreed to fund industrial incentives associated with the development of Ariane 6 and P120C solid rocket motor. Participating States also committed to start with the first step of the Ariane 6 and P120C Transition Programme. This programme supports the evolution from Europe’s Ariane 5 to full operational capability of Ariane 6. Ariane 6 is Europe’s new-generation launcher, designed to secure guaranteed access to space for Europe at an affordable price for European institutional users. It will operate in two configurations: Ariane 62 is fitted with two P120C strap-on boosters while Ariane 64 has four. 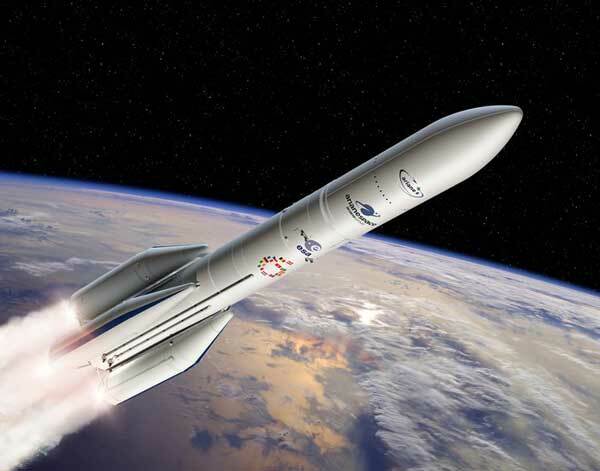 Ariane 6’s maiden flight is planned for mid-2020. P120C is the largest carbon-fibre solid propellant booster ever built in one segment at almost 13.5 m long and about 3.4 m in diameter. Two boosters will be used on Ariane 6’s maiden flight in 2020. Avio reports it has completed operational tests for the first P120C sold rocket motor booster casing, which will be used on the new Ariane 6 and Vega C launch vehicles. “The mechanical tests were carried out using a platform specifically designed and built to simulate the actual conditions of a space launch: pressurization inside the combustion chamber, engine thrust and mechanical loads resulting from the launcher’s operational phases,” the Italian company said in a press release. “The technological casing, equipped and complete with instrumentation, was subjected to a test cycle up to the maximum engine operating pressure as well as a series of axial load cycles, which demonstrated that the prototype fully corresponded to engineering predictions for its mechanical behaviour,” the company added. Vega C is set for its first launch in 2019. Ariane 6 is scheduled for the following year.